Trying to constantly find new leads to grow your business can be hard work. Those wasted moments where you’ve spent time writing proposals, making or returning countless phone calls and emails or spending valuable money on advertising with little to no return. Well now there’s a better way. Enter our CX Connect service – the smart sourcing for businesses delivering you highly qualified B2B leads directly to your inbox. 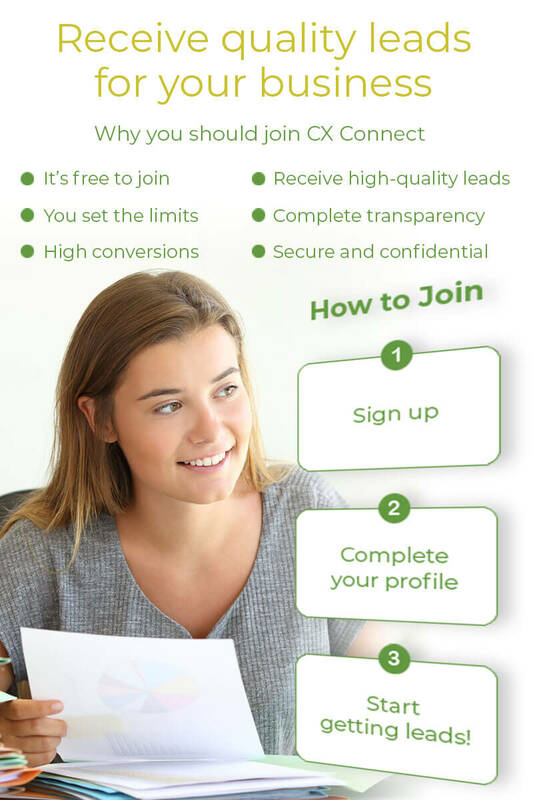 To join the CX Connect supplier panel, simply select the product or service below that you’d like to receive highly qualified B2B leads for and then complete the online form to apply. Includes call/contact centres, BPOs and reception services. Providing a range of remote services to support individuals and businesses. Consulting services to support businesses - from SMEs to large corporates. Door to door, retail kiosks, events staff and more. Recruitment, training, assessments, coaching and more. There is no cost to join and you only pay a small commission on leads you successfully convert. We’ve also got generous payment terms so our commissions don’t impact your cash flow. You have full control over the leads we send you by updating your Supplier Profile at any time. The profile sections enable you to define the types and quantity of leads you want to receive so you’ll never waste your time on an unsuitable lead again. Voted the most trusted business for CX & contact centre professionals in Australia through our CX Central website, customers trust our recommendations resulting in higher conversions for you when we recommend your business. 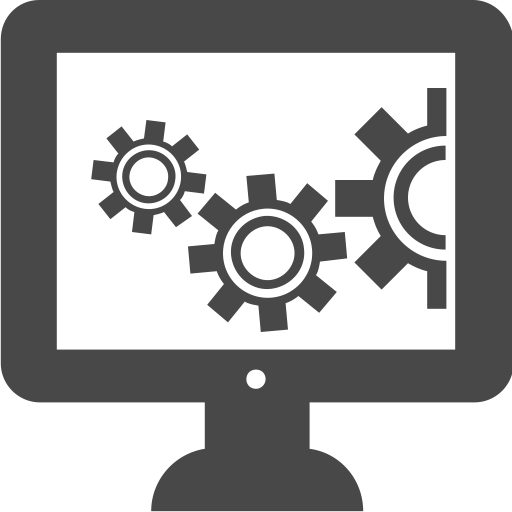 Our online forms act like a virtual BDM for your business. You’ll receive a lead brief from us along with all the information you need to accurately prepare a proposal for the customer. Our model is built on trust so our custom built Supplier Dashboard provides you with full transparency on the leads you are allocated with conversions, commissions paid etc all managed through your dashboard. We are fully compliant with all modern privacy guidelines and our Supplier Agreement contains stringent Confidentiality clauses to protect your information. What’s different about CX Connect? Quality Leads – All our leads are fully qualified before we send them – we don’t just ‘tick ‘n’ flick contact details. Quality over quantity is our guiding principle! Real Conversations – With decades of operational experience, we ensure the customer requirements are clearly defined and suitable before we send the lead. Partnerships – We understand the value of sustainable partnerships and are committed to helping you win (and build) on the opportunities we send you. Being a registered supplier on CX Connect is like having an extra Business Development Manager working for you. We do all the advertising and promotions to generate the leads and enquiries, we manage the initial customer enquiries and we help them to define their requirements. And when we find a good match between the customer’s requirements and your business capabilities, we simply refer the lead directly to you. Once you receive the lead from us, you simply contact the customer with your proposal and you are free to liaise directly with them to negotiate the final solution, prices, contracts etc. And rest assured that when you do receive a lead from us, it’s not just a tick a ‘tick and flick’ service with a few basic details. We’ll send you a full lead brief that includes all the customer requirements so there are no surprises. Speaking of no surprises, with our purpose built Supplier Dashboard you can define the types of qualified B2B leads you’d like to receive so you’ll never waste your time or money again on poor quality leads. The best bit? It costs absolutely nothing to join, and you only pay us a small commission if you convert the lead we send you. Complete our online application form to join the CX Supplier Panel and we’ll send you a contract with our Terms & Conditions along with our commission model. Complete your Supplier Profile so we can confidently recommend your business and ensure we only send you leads that perfectly align to your skillsets and minimum requirements. Once your profile is completed we’ll start sending you leads that are suitable for your business and that have met the minimum criteria’s you have defined to us. Submit your proposal directly to the customer and negotiate terms, pricing and the solution directly with them. You only pay us a small commission on leads you convert. Heard of CX Central? Now followed by over 30k CX Professionals, CX Central receives thousands of visitors per month to their website and social media channels from people inside and outside of the CX industry to access their free articles, business directory, guides and bunch of great resources on call centres and customer experience. And with years of publishing great content and a deliberate Search Engine Optimisation strategy (SEO), CX Central features prominently in the Google search results for a range of CX, customer service, call centre and contact centre terms delivering consistent, high-quality traffic to their site. CX Connect benefits from this traffic (as it’s owned by us), and the constant requests for support and advice in finding the right solution were the driving force in developing CX Connect to provide a clear model in helping customers find the right solution and supplier. Of course, we aren’t just going to rest on our laurels. Our Search Engine Marketing strategy and active involvement in the business community will continue to play a key role in acquiring new opportunities so we can keep those leads coming in.